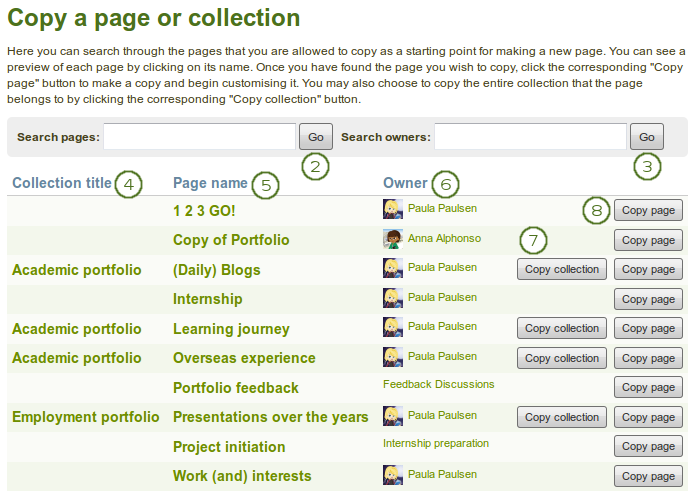 Click the Manage button to move pages within a collection, add them to or delete them from a collection. When you submitted a collection to a group, you cannot edit or delete it until it has been released. Click the Next: Edit collection pages button or click the Cancel button if you want to abort adding your collection. Search owners: Search for the author of the collection. This can be a user, a group or an institution. Click the Copy page button to copy one page only into your own portfolio. 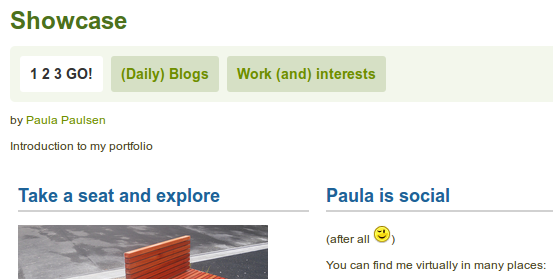 Use the Move up and Move down buttons to arrange your pages in a different order. Click the Remove button to take a page out of a collection. The page itself is not deleted. Click the Add pages button to add the pages to your collection and then move them around with the Move up and Move down buttons. 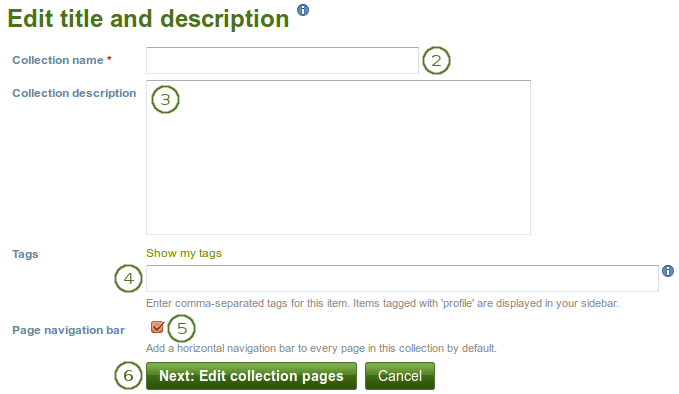 View the result of your collection by clicking on the collection title or any page that is part of your collection.